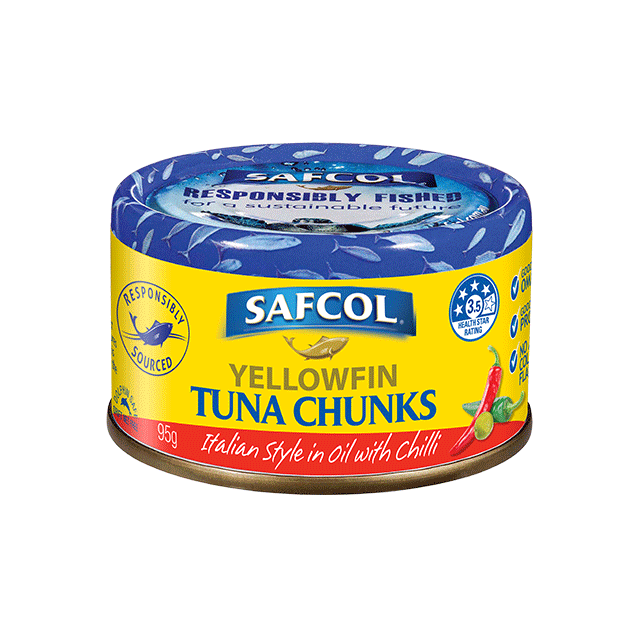 Safcol Yellowfin Tuna Chunks Italian Style in Oil with Chilli is responsibly sourced for a sustainable future. It is dolphin safe and drift net free. Good source of Omega 3.